Made from high quality cowhide split leather 2-2.2 mm thick. To keep the tool roll shape the inside is lined with a hard plastic material. Easily mounts using two leather straps included, to secure to handle bar, spotlight bar or wherever fits your bike. Designed to fit most of the bikes. Motorcycle leather tool roll - Maltese cross. 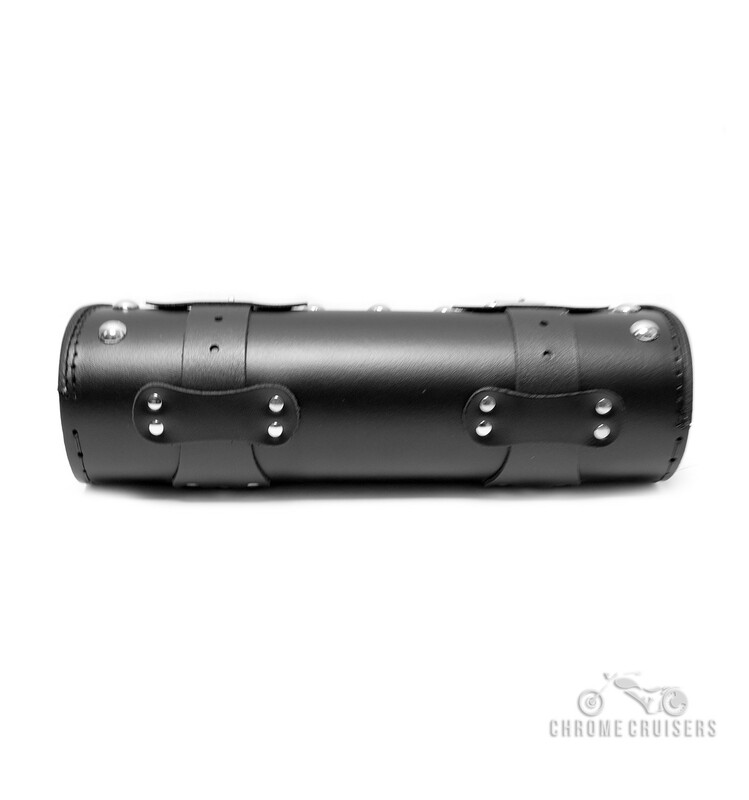 Motorcycle leather tool roll - Maltese cross wih rivets. 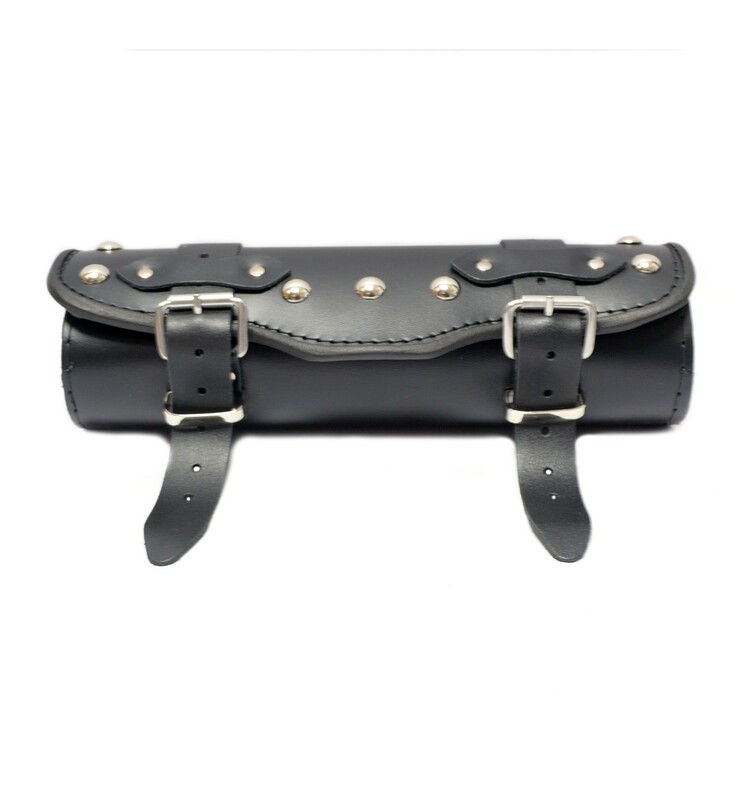 Motorcycle real leather large tool roll with rivets.